Looking for something creative and fun for your next party? 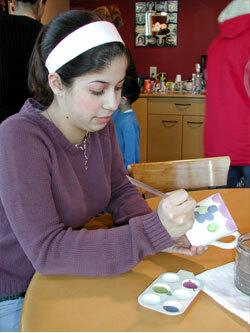 Youths aged 13 - 16 can reserve space at Brush Fire Studio for groups of 5 or more. You're welcome to bring in cake, snacks and drinks for your party! $10 per youth includes 2 hours in the studio, unlimited use of paints, brushes, stencils, reference books for ideas and inspiration, and glazing / firing for your piece. Ceramic pieces are additional.